For at least five years, I’ve been hearing about the merits and benefits of Digital Transformation. It is a favorite subject for pundits, analysts, influencers, market researchers, technology vendors, and enterprises around the globe. And, I don’t doubt will be the first thing written about by our first influencer on Mars. Creation of Digital (emphasis theirs) Products and Services. Opening the Door to Globalization. Reading this, you’d think that digital transformation was game-changing, world-shaking and life-altering. At least the business side of life. The hype around it has been loud. Even though the enormous decibel level has never been completely justified (that’s why they call it hype) there is a real value if you can accomplish the business transformation that digital transformation implies. Businesses do benefit from it. But it takes a lot to separate signal from noise when it comes to digital transformation. Because everyone is selling their version of it. Additionally, to build and then execute a true digital transformation initiative – one stripped of hype and thus actually useful – takes a lot of preparation. That preparation requires knowing one’s state – meaning the maturity level of the company and then identifying and executing a fully thought-out, ful- blown digital transformation effort, but also having a clear strategy, set of objectives, program, and stakeholders who can champion the effort. To do all that, the extant literature on the subject has to be perused – and either discarded or valued and used. This means time, effort, money. And commitment from the senior management. That’s why each year, when uber-influencer Brian Solis, principal analyst at Altimeter Group,and one of the most influential thinkers in this era of digital transformation, publishes his annual State of Digital Transformation Report (under the aegis of The Altimeter Group, a Prophet owned company), it’s the first report I go to – and always will be. I find it to be a foundational report. It gives the underpinnings of the state of digital transformation as promised in its title. But the insights you gain from it are a product of your thinking with the data to corroborate or deny. (One thing before we move on. Make no mistake about it:. This is Brian’s work, regardless of the umbrella it’s published under. I have some thoughts and you can take them or leave them, but the foundation is Brian’s report.). Stage 6 – Innovative and Adoptive. I’d add a bit to the descriptions. Here are my names and the descriptions for the stages that correspond with Brian’s. I’ve added some detail that I think is relevant and supplements what Brian is getting at. Stage 2 – Experimental: This is I think the stage where there has been some buy-in by the senior management enough to provide cultural support for ad hoc or at least somewhat organized but not systemic experiments. They are pockets of effort that are designed to win something and capture hearts and minds, but at this stage are not sufficient to show business-wide value or if they do show that potential, not supported yet enough to expand the scope. But at some level, this is the first indicator and most primitive one when it comes to some real hope that the company could be serious about a company-wide effort. For example, though not a digital transformation effort, at one point in my life I sat on the Board of Advisors of the Center for American Progress, which was founded and at the time headed up by long-time politico John Podesta. He was an old-school guy creating and running a think-tank for progressives. He never really understood social media and digital constituencies but was smart enough to let those who did run their show and that led to what was either the largest or second largest (depending on the year) political (of any kind) blog in the world in terms of readership and views. Thus, advancing the progressive agenda. This is the equivalent. Stage 3 – Institutionalization: This is when the digital transformation is given the go ahead to the point that channels for funding, approval etc are created company-wide and the interest in the effort is company-wide – with senior management support and cultural backup allowing the champions the avenues they need to get approvals, funding and person-power to start their efforts. It’s when the KPIs for success are starting to be developed so that the projects can be justified. Whether the effort itself is company-wide or department-wide or even smaller, the support is company-wide. Stage 4 – Strategic: The efforts have been successful enough to metrically justify and emotionally support cross departmental collaboration around a potential company wide effort. Stage 6 – Ecosystem: This where it goes from one off or a project to a continuing initiative which means the thinking is ongoing, the initiatives are seen in the short term and in context of the larger long term and the support ecosystem of tools, technologies, systems, and personnel is in place – with both internal and external reach. These six stages are at the center of all efforts around digital transformation. The execution of the effort is dependent on where along the six-stage spectrum you are. But regardless, understanding this provides you with the context to understand this research and at the same time, look toward where you are and where you need to get, to use the insights you gain from this report as well as what other resources you might be using. These are the top four drivers of digital transformation efforts. There are some things notable about them. First the positive nature of the one on top – growth opportunities. If we can “digitize” our business, then the availability of opportunity increases commensurately. At least that’s a fundamental belief, apparently. On the opposite side of a different coin, competitive pressure – never a good reason for an initiative of any kind since it’s a “I have to because they are” effort – remains important, but is less and less being seen as a mission-critical effort. All of that’s great and somewhat obvious and definitely evolutionary. But where the most significant reasoning for the efforts come in, as least in terms of year over year increase, is “new standards in regulatory and compliance, up 102 percent in one year (I have to presume that means a leap from either 18 percent or 19 percent to 38 percent from 2017 to 2018). That’s clearly the impact of the General Data Protection Regulation (GDPR), which as of May 25, 2018, mandated that the customer’s data is his or her own – and built in the safeguards and the punitive measures should there be a violation. Theoretically, it is supposed to impact any businesses anywhere in the world who does business with the EU. But the influence of GDPR has gone well beyond that. It is forcing a fundamental transformation in how companies utilize, report and deal with customer data – everywhere in the world, even though its only enforceable in the EU or with companies anywhere who do business with them. This serious uptick in digital transformation efforts are in response to GDPR. One of the more ironic insights and yet, certainly most sensible is that the digital transformation efforts tend to be focused on the customer-facing environments of a company. For example the DT steering committees are eerily similar in makeup to what constituted early versions of CRM steering committees with sales, marketing and customer service being the most prevalently represented departments outside of IT, which has by far and away the largest representation of any single department. But also represented, unlike the earlier CRM steering committees, are ecommerce, innovation and customer experience folks. 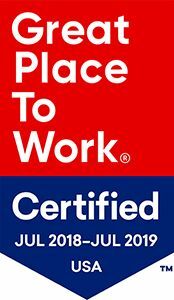 In order for these efforts to be successful, I would add that the company not only has to “update” touchpoints but understand the journey holistically. There are no touchpoints in isolation from the other, when it comes to customers. In part, because the customer isn’t thinking in terms of touchpoints, devices, or technology. They are thinking about getting what they want in the way that they want when they want it. And what can be done most conveniently to get that accomplished. That requires an all-inclusive overview of the individual customer’s journey – which, if the infrastructure can be built to support it e.g. a digital transformation – as part of the overall business transformation – can be done. So how to do you get buy-in for such an effort. What is clear from the research is that while the talk is there, the walk is not at the speed of sound. Think this way: The speed of sound is 343 miles per second. The speed of a fast walker is 4.0 miles per hour. That’s kind of the problem. Lots of people with advanced understanding of the why it is necessary and the interest is high but the infrastructure and the culture of the company is still stuck in Step 1 of Brian’s evolutionary (almost maturity) digital transformation model. The numbers bear it out. “We learned that 34 percent of companies are accelerating and sustaining formal innovation programs now and in the future. But only 24 percent of companies surveyed reported that formalizing innovation efforts or creating an innovation team to test new digital concept was a short-term priority of theirs – and only 14 percent reported that this was a long-term focus for them. A lot of that seems to be coming from the failure to understand that transformation at this level – of the business models, the infrastructure, the strategy, the programs and the culture – while it has measurable tangible results, isn’t truly measured by only those results. There are intangibles, ranging from employee morale to customers who feel engaged and who are able to have a great overarching experience, that aren’t directly measurable though the indications of those “states of being” are measurable; e.g. loyalty program success indirectly measures (in part) the overarching customer experience. Thus, one of the top challenges that the report found was that there was a lack of data to justify ROI (29 percent of the respondents said that) and that of course leads to digital transformation being seen as a cost center. You don’t see tangible benefit, you think it costs you more than you get back. The report indicates that executives want operational efficiencies along with demand generation as top priorities of these efforts – and of course those are measurable results – and have some value. But they are too high a priority in the thinking of executives. Seeing these as top priorities in overall business transformation are indicators of the lack of vision that many senior executives seem to have. For success in the long term – and even the mid- and short-terms – they are going to have to embrace and understand customer behaviors which will help provide the insights that they need to transform their companies business models, transactional and interaction-al approaches, strategies, programs and even measurements. That will lead to operational efficiencies and success demand generation – and so much more. So, what does that tell you about what needs to be done to resolve this dilemma? I’m waiting (tapping foot….). Okay. I waited long enough. It means that there has to be a change in the culture – and, as difficult as it may sound, sometimes an overhaul of the culture. And it’s here…as the study shows…we have a dilemma. While there is a significant increase in the interest in creating an “innovation empowered” culture as a priority (48 percent; up 65 percent from 2017), the company culture is being decreasingly seen as a challenge. It was the #3 challenge in 2017 and #5 in 2018. There are two ways to look at this. First, glass half full – they are actually dealing with it and thus, it is less of a challenge or glass half empty – they are losing sight of the importance of culture in a transformation effort. There is a third way too, I imagine – the survey’s results in this area is not particularly conclusive – which could also be the case. I honestly don’t know how to see this one (even in the context of the survey or of similar surveys) and thus will just re-iterate what I do know to be true. The transformation of a business needs to be sustained by the transformation of that business’s culture. Meaning that if you are viewing things from the Six Stages of Digital Transformation, stage 6 is truly necessary – not a fantasy to reach – in order to be able to nourish and maintain a success transformation of your business. Ha! Don’t you love acronyms? Clearly if you’ve been reading any of this, you know that DT is digital transformation. But, I’m a specialist in customer engagement – that would be CE – and it’s my current strategic focus. The how-tos and purpose of customer engagement (new book, “The Commonwealth of Self Interest” coming in March – more details some other time). Customer Journey Mapping (obviously CJM), regardless of your approach, has a specific function. It is the means that you employ to understand your customer’s pathways through and around your company. That means that it not only is looking at the transactions and interactions but identifying the customer’s behaviors in the course of their activity, trying to identify their intent, uncovering their expectations and their emotional response to either meeting, exceeding or failing to meet those expectations – and it can involve identifying the best response to those customers at each and every point along the journey. It can identify the patterns of behavior and the aberrations from the expected paths of behavior along the way. It can identify the strengths, weaknesses, likes and dislikes of that customer or of thousands or even millions of customers so that you can communicate more effectively with them as a group or as individuals. It can be done the old-fashioned way with interviews of an acceptable number of customers by skilled interviewers who are not guiding or directing the customers to an answer or response but are evoking a result without any of the interviewers biases in the way. It can be done with advanced technologies such as Thunderhead’s One Engagement Hub customer engagement platform or the subset of that journey orchestration suite that is embedded in Salesforce’s Interaction Studio. I’m probably a bit less disturbed but there is a fundamental point here – and it goes to a crusade that I’m conducting now on the difference between a customer-centric company and a customer-engaged company. To put it simply: Customer-centric companies are doing good things for customers, but they are typically tactical initiatives. They don’t incorporate what a fully customer engaged culture does – at the level of DNA is a proposition to always work toward mutual value. It is strategic and is behavioral. It is embedded deeply into the very genetic code of the company. Brian’s point highlights it. Here is a post I did on this difference awhile ago. Suffice to say, you are customer-centric for the good of the company – and it does benefit the customer at the time you do what you do. But customer-engaged is for the good of the company and the customer at all times. Period. That’s why Brian’s research shows what it shows. Customer-centric companies are doing what is tactically important for the company at the time they do it. They are not customer-engaged. Again, it’s not bad. Being customer-centric is better than not being customer anything. But read the post I wrote. You’ll see clearly the difference – and that difference is what Brian is feeling. Brian is one of the few people that I will automatically read when he writes. It can be this report, it can be his book on UI/UX or his upcoming book, Lifescale: How to Live a More Creative, Productive, and Happy Life 1st Edition. But of course, being an opinionated New Yorker – who knows the Yankees are going to win the Series this year – (Mariano Rivera – first unanimous vote for Hall of Fame ever!! A Yankee, of course. ), I have my own take on it – which dovetails about 95 percent with Brian’s. Digital Transformation is talked about a lot and experimented with, but the talk is a lot faster than the walk. At this point, while there are efforts that are clearly underway and there are substantial numbers of them, they tend to be departmental, tend to be experimental, often are ad hoc, and at times even a bit random. But the body of work is substantial enough to provide you with the guidelines you need to begin or advance your own business transformation. Brian’s research is part of that body of work – and one that you can use as a guidepost – as well as his six steps to digital transformation. Understanding the state of the state is the first step toward your involvement in the state. If you’d like to get a free copy of Brian’s report, The State of Digital Transformation 2018-2019 Edition, go here and download it. (you’ll have to register). It is SO worth it. The role also cannot be granted in a read-only way. This can make it challenging in a very large organization. For example, let’s say you’re a large worldwide organization with five main divisions. One of the key Power BI people from division A requests access to the Power BI Admin Portal because they want to be able to view what the settings are. An example I’ve seen of this is someone thinking that the ‘push apps to end users’ doesn’t work, when really the issue is that it’s disabled by default in the tenant settings. 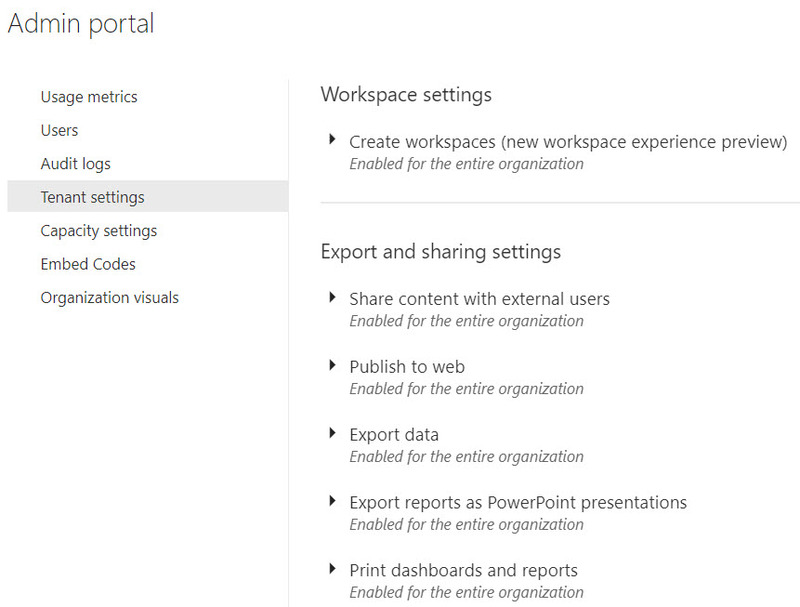 Unlike the previous two examples, Export-PowerBIReport does require the Power BI administrator to have rights to the workspace in order to access the content. 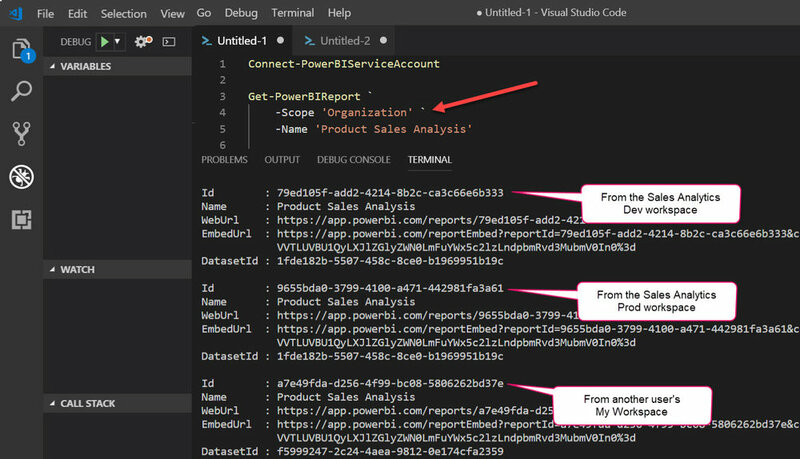 This is what I was observing, so I was happy to have it confirmed by Chaz Beck (CodeCyclone) from the Power BI product team when he replied to this GitHub issue. This is a legitimate unauthorized (401) message when a Power BI administrator tries to export a PBIX that resides somewhere that the administrator doesn’t have access to – this includes My Workspace for all other users. You’ve invested a lot into the systems you use for your business. Each asset has been carefully selected to protect critical data, provide infrastructure, and support open technologies for remote work, all while keeping your overall business goals– and budget– in mind. 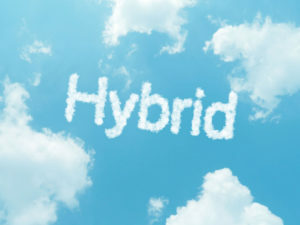 When shopping for new ways to support these systems, many organizations have turned to a hybrid cloud approach to offer the flexibility and efficiency of new cloud technology while retaining the infrastructure they’ve already invested in. It’s the best way to optimize your existing assets while taking advantage of today’s newest technologies. 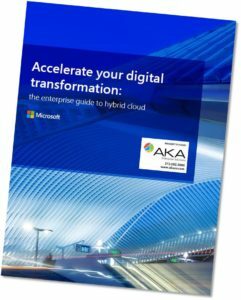 Click the image to download this Microsoft Whitepaper, “Accelerate your digital transformation: the enterprise guide to hybrid cloud”, to learn more about the benefits of a hybrid cloud solution.